The Bundle is closed. This bundle only lasted one week during early December 2017. If you would like to get my beginner class please visit my shop link above! One week only. Ends on December 4th! The Handmade Ultimate Bundle is HERE! 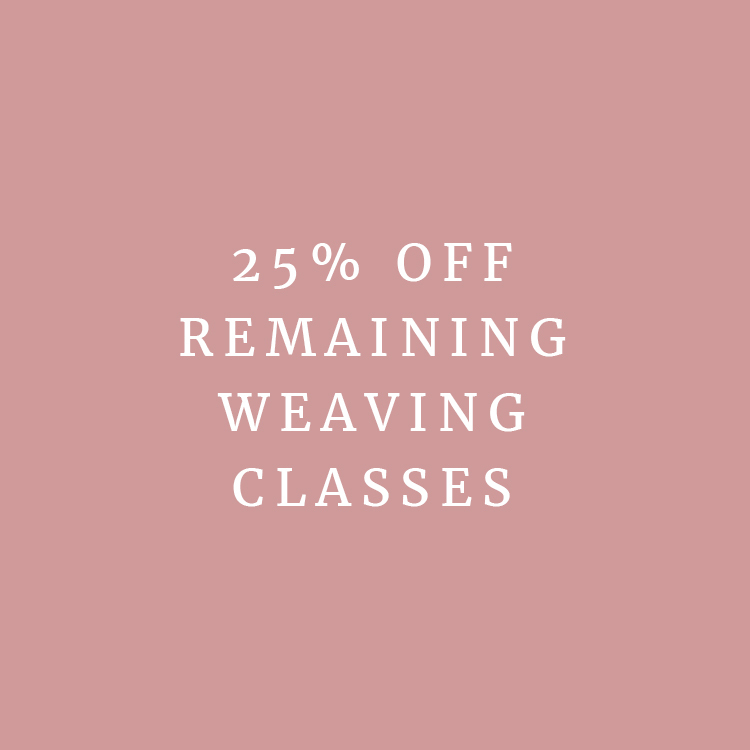 This is the first time a bundle like this has been created and I'm so excited because my beginning weaving class is included. Imagine 50+ of your favorite craft instructors pooled their patterns, classes and ebooks together for one week only to kick off the holidays. You can learn more about weaving (ahem) macrame, dying, crocheting, knitting, embroidery... tons more. Try something completely new or sharpen the skills you have, there is a project and style for everyone to enjoy. Click here to Learn more about the resources in the Ultimate Bundle! Combined, our resources would cost over $1100, but for this week we've agreed on selling 200+ projects for only $29.97! THIRTY DOLLARS! It's kindof insane... but we are on a mission to spread the word that slow crafting is making a comeback and handmade gifts are the best gifts! Using PayPal on a mobile device? Email customerservice@ultimatebundles.com for instructions. Let them know you were referred by me so you can get my bonuses! If you have already purchased my beginner class, but haven’t made the decision to buy my other classes, now is the time! Simply purchase the bundle through my affiliate links on this page, and email me a receipt of purchase for both my beginner class and the bundle, and I will send you one of my other classes for free! Oh, and one last thing. (My favorite part... that I just decided on an hour ago) If you purchase the bundle through my affiliate link RIGHT HERE I will personally send you an extra special bonus. Simply email me a copy of your receipt for the purchase of the bundle to info@hellohydrangea.com, and you can choose either 25% off my remaining classes, or a bundle exclusive freebie! The freebie will be a game changing way to weave faster: sewing on a heddle that will work with any loom! I haven't shared this technique with ANYONE before. It's kindof my secret weapon... and I'm only offering it to Ultimate Bundlers during this week! So... don't take my word for it. This bundle is incredible in itself. I got my own copy and already have a list of projects I'm going to start on asap. And then the bonuses and freebies? It blows my mind why you are still reading this and not checking out right now... heehee.